Plus, the death toll rises for Philippine ferry crash. Tuesday ASEAN links. The Australian woman convicted of smuggling nine pounds (4.2 kilograms) of marijuana into the Indonesian resort island of Bali could be released from jail before the end of this year. 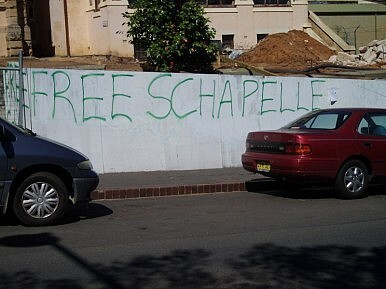 Schapelle Corby has been incarcerated at Bali’s Kerobokan Prison since 2005, originally sentenced to serve 20 years behind bars. Corby’s trial and subsequent imprisonment drew widespread interest in Australia and was the subject of an HBO documentary film. Some believe that Corby was framed, and Corby herself continues to maintain her innocence. Meanwhile, tragedy struck the Philippines when a ferry collided with a cargo ship off the coast of Cebu. The BBC reported that Philippine officials increased the death toll to 52, as rescue teams continue the search for 40 missing people. More than 800 people were aboard the ferry when it capsized, but rescue crews were able to save more than 720. The crash occurred only two kilometers from shore, but rough seas have made the search operations increasingly difficult. Heavy rains and flooding are battering Manila, with the government forcing schools and offices to close – only one week after Typhoon Utor wreaked havoc in the north. While many in the Philippines seek shelter from tropical storms, an increasing number of homeless in Thailand are seeking shelter anywhere they can find it. However, Thai officials are reporting that more and more of the nation’s homeless are Westerners. “We are starting to see more and more homeless foreigners, many of whom have separated from their Thai wives and now have no money,” said the secretary-general of the Issarachon Foundation, Natee Saravari, in an interview with The Bankgkok Post. Natee estimated that there were more than 200 homeless foreigners nationwide, compared to 30,000 homeless Thais. He said that many of the Thai homeless suffer from mental illness, but the majority of foreign homeless are alcoholics. Adding to the homeless problem is new information that the country has fallen into a recession. Thailand’s GDP shrank by 0.3 percent in the quarter that ended in June. As for regional economic performance, the 45th ASEAN Economic Ministers Meeting (AEMM) opened in Brunei this afternoon. “Economic ministers will review the regional performance amidst current global economic situation and exchange ideas on how ASEAN can increase its regional competitiveness and further strengthen its position as a key player in the international supply chain,” stated The Global Times. Several other events have been slated to coincide with AEMM, including the third ASEAN Investment Forum, the ASEAN Business and Investment Summit, the ASEAN-China Youth Forum, and the ASEAN Business Advisory Council. What’s Behind a New Malaysia-Cambodia Economic Pact? A closer look at a recent agreement and its significance.